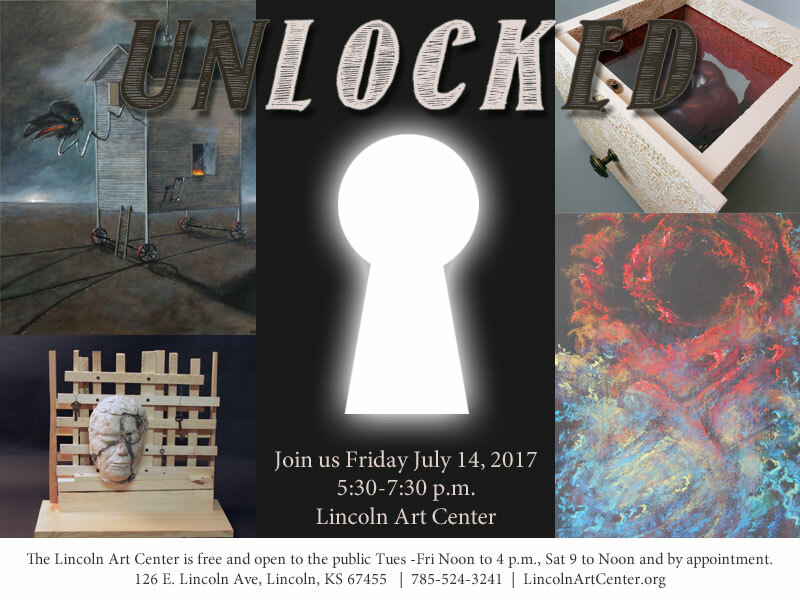 LINCOLN – “UNLOCKED”, featuring the work of 28 artists from Bennington, Manhattan, Great Bend, Lawrence, Lincoln, Lindsborg, Salina, Sylvan Grove, and Topeka, Kansas, as well as artists from California, Colorado, Georgia, Missouri and Hawaii, opens at the Lincoln Art Center Friday, July 14 from 5:30 – 7:30, with a gallery walk at 6:15. This exhibit runs through August 31, 2017. 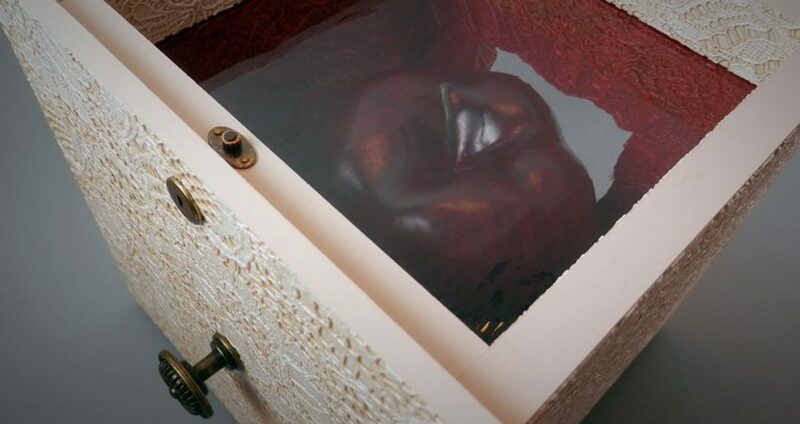 Featuring quilts, assemblage by Scott Holl, and paintings by Marty Olson. Opening Reception Friday, January 12, 2018 from 5:30 - 7:30.